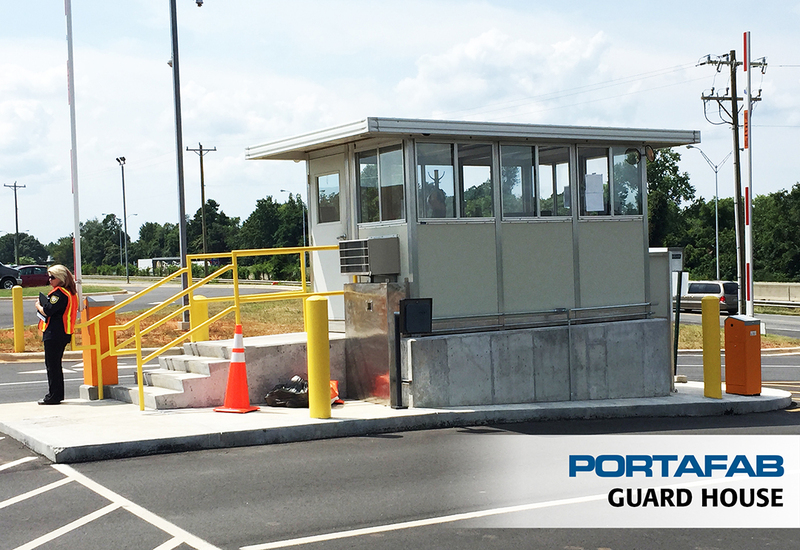 Our pre-assembled modular buildings are ideal for use as guard houses (also referred to as guard booths or security booths) to provide perimeter security and/or access control. These units can double as a guard booths or cashier stations and can be equipped with a wide range of options including spotlights and transaction drawers to meet your specific needs. To receive a price quote for a modular booth, click the button below and one of our representatives will contact you with a detailed proposal. You can also visit our online price generator (button at right) for immediate pricing information on our standard booth sizes. 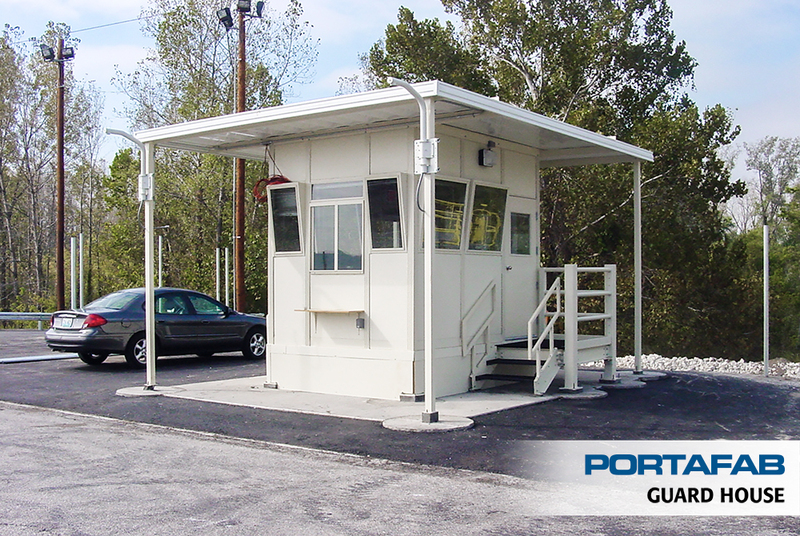 Guard houses can be used to control access in and out of parking areas. Guard houses can be outfitted with spotlights, surveillance cameras and other specialty equipment.